Alchemy Gothic's Cat Sith Leather Wriststrap is a leather and pewter bracelet. 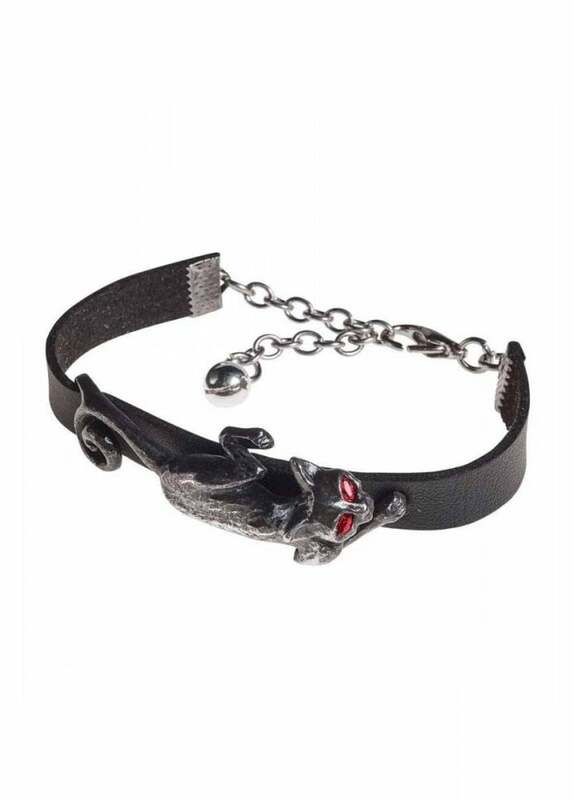 The bracelet strap has a chain and spring catch fastening and features a black pewter cat with red Swarovski crystal eyes. Show your dark love of cats, with this sleek yet stunning piece.